Since most of our interests on this trip revolve around running and hiking, we didn’t have many destinations between Fire Island and the Badlands other than campsites. Regardless, I don’t think I will ever forget the experience of driving across the Midwest. 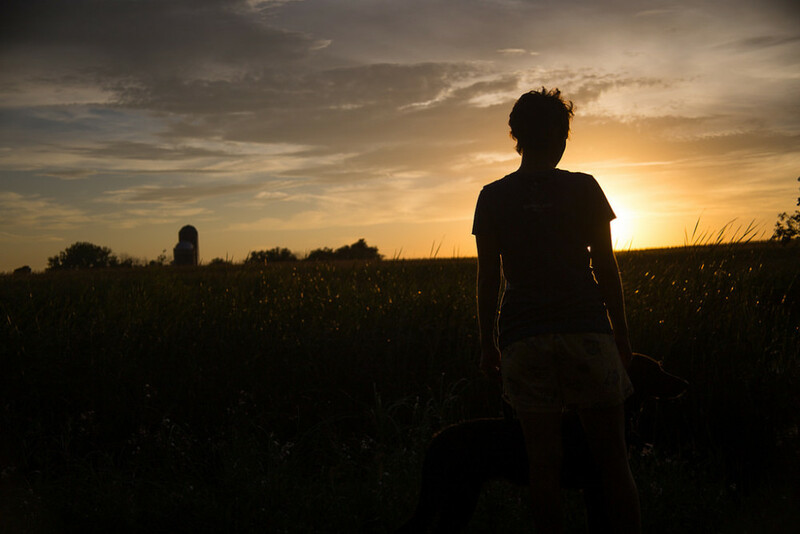 The vastness and remarkably lonely beauty of America’s breadbasket is hard, if not impossible to overstate. 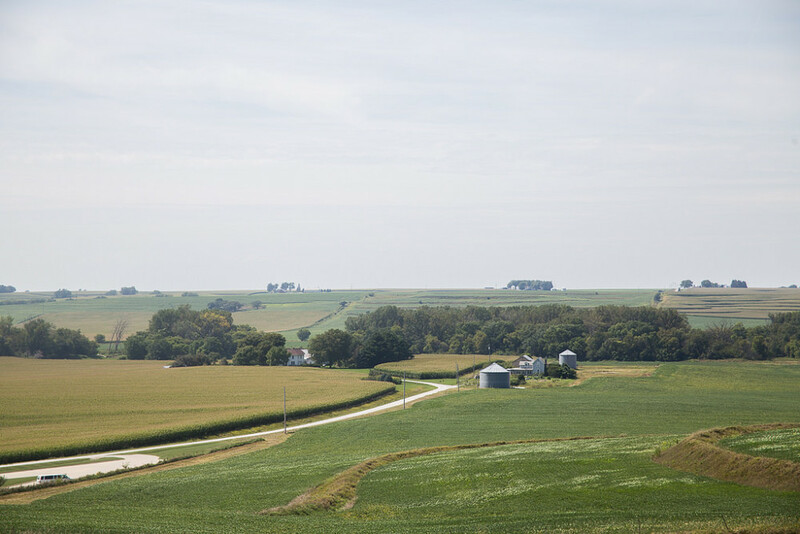 Endless rolling hills dotted with idyllic farmhouses in Illinois, crops in Iowa shimmering and waving in the breeze like a green sea, massive grids of straight roads cutting across South Dakota. I think that unless one walks, cycles, or drives across the country they will have a hard time appreciating just how big it is. 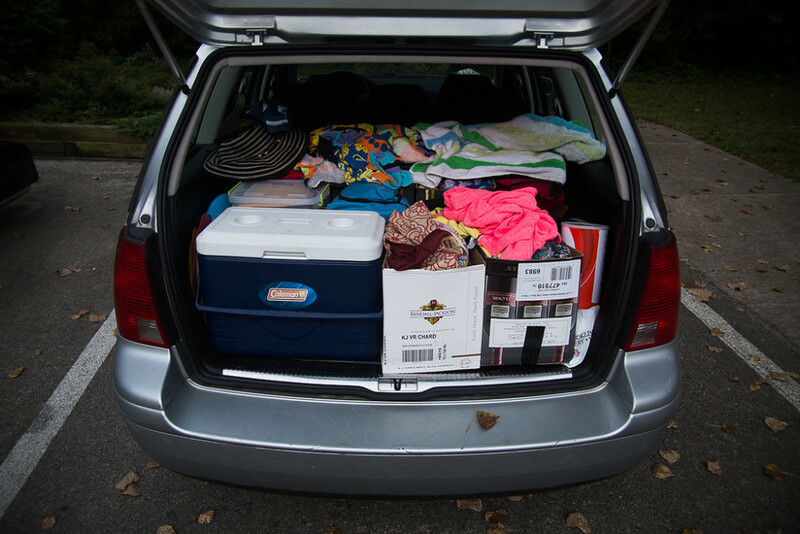 We are driving a 2003 VW Jetta TDI, which has been averaging about 52 MPG even with a fairly decent load of people, a dog, and supplies. The previous owner installed a steel skid plate to protect the oil pan, which I thought was a little overcautious, but I have a feeling that it will come in handy when we reach the mountains. Most of the hikes seem to involve trailheads that are at the end of long, rocky, winding fire roads. Other than an expensive emergency overnight in Ohio at a KOA, we have focused on finding free (or very cheap) campsites. There is a great website called www.freecampsites.net that we have been using. Many of the sites are operated by the Forestry Service, the Bureau of Land Management, and individual cities/towns and tend to be very basic, which is fine for us! Even better, they tend to be located in very pretty places; along rivers, lakes, and on the sides of mountains. 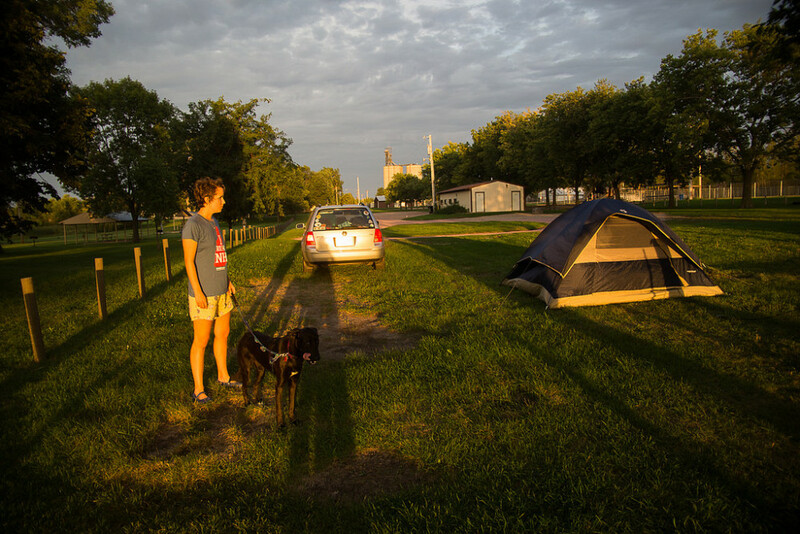 One night we camped on the banks of the Mississippi (which felt very special, despite the bugs and humidity) and the next night we stayed in a city park in a tiny, run-down town called Marion, South Dakota. I don’t think we saw a single person when we drove into the town (though quite a few cars pulled through the park at night). It was a very eerie experience. At least we were treated to a spectacular sunset. What’s next? The Badlands and the Black Hills of South Dakota!